Named as ‘North Americas Leading Business Destination’ for 22 consecutive years, Las Vegas is the ideal destination for Routes Americas 2017. 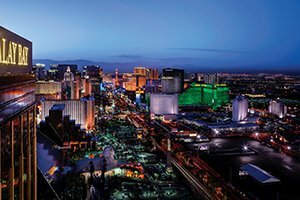 For over two decades, Las Vegas has held the position of being the leading convention destination in the United States, hosting over 22,000 conventions, events and conferences a year ranging in size from 10 to over 150,000 attendees. With more than 236,000 resort industry employees, Las Vegas promises to provide the best event experience for Routes Americas delegates. The city also boasts a total of 11million sq. ft. of exhibition space. 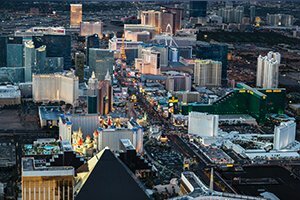 Nearly half of Las Vegas’ 42 million visitors a year travel by air and aviation helps drive tourism and the number of international travellers visiting the United States, which is high on the city’s agenda. Routes Americas 2017 will mark the second time that Las Vegas Convention and Visitors Authority and McCarran International Airport bring a Routes event to the city and only the second time that Routes Americas has been held in the United States. After hosting World Routes in 2013, McCarran International Airport gained over 120 weekly flights with an estimated annual economic impact of $450 million in non-gaming revenue. Read more about how hosting World Routes was a positive experience for Las Vegas.